A beaded bracelet made by beaded balls in different colors. 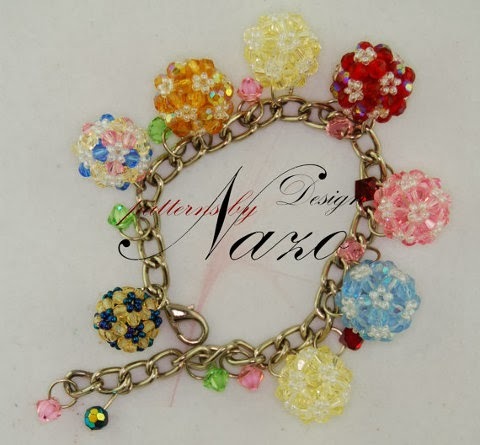 * A unique technique developed by Nazo Design® used to create the beaded balls, which makes the creation rigid if you can make it right, hard to be squeezed and deformed. * PDF file explains every single step for you with 116 photos and detailed explanations of each step along with the photos.